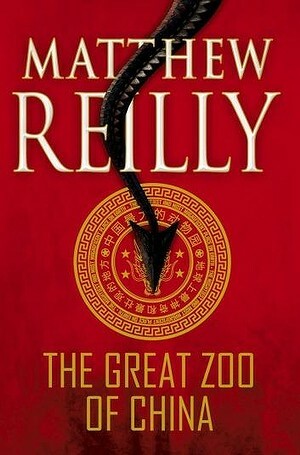 So Monday 10th November 2014 was a day that all Matthew Reilly fans has been counting down to – the release day for his latest book, The Great Zoo of China. Luckily for me, working in a bookstore means that I already got to read a proof copy of it back in September (my review of the book can be found here). But that didn’t make Monday 10th November any less exciting for me. For on Monday 10th November, Matthew Reilly was doing a launch event at the Hayden Orpheum Picture Palace in Cremorne, Sydney. And I had a ticket. The event was going to consist of an ‘In Conversation with…’ style of presentation with Matthew, moderated by the owner of a local bookstore, followed by Q&A from the audience (including one from myself! ), and then book signings out in the foyer. Below are highlights from the evening. Disclaimer: Matthew gave a lot of fantastic, detailed, and in depth answers to all the questions he was asked, which makes it really hard for me to remember everything, and to include everything that he said. As such, I have paraphrased both the questions and answers, so nothing below is a direct quote from either the question-asker, or Matthew Reilly himself. So, why set the story in China? Matthew explained that in 2003 he visited a dragon museum in Sweden and that is when he thought of the initial concept for the book – a zoo filled with dragons. But who would build such a zoo? And why? At the time, Matthew couldn’t come up with a satisfactory answer to either of those questions. However, in 2006 he was on a research trip in China for his book The Six Sacred Stones, and he thought that China could be a good setting for the zoo. Then with the 2008 Beijing Olympics, Matthew saw that China had really emerged as a contender for the next global super power and was a realistic country to set the story in. 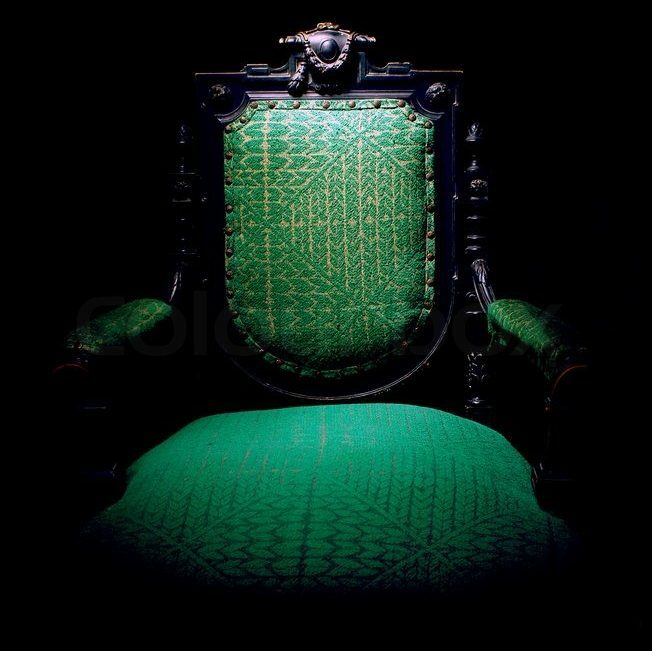 But to be a global super power, a country must have soft culture dominance, which is where the USA reigns supreme. Soft culture involves things like Coca-Cola, McDonald’s and Disneyland. And how could China do one better than Disneyland? Why a dragon zoo, of course! Matthew also explained a little about the ‘Chinese Dream’, which is this idea of trying to cement China’s place as a formidable country on a global scale. This ‘Chinese Dream’ is actually government policy in China, which makes the idea of Matthew’s book all the more plausible – that China would want to be a global cultural leader to rival the USA. What is Matthew’s writing process? Matthew explained that when he was writing his first book Contest, he was 19 years old and studying at university, so often he would write at all hours of the night, and not keep consistent writing hours. Nowadays, he tends to keep reasonably normal ‘office’ hours, and this is due to the fact that he aims to still have a reasonable social life. As most of his friends and family work 9-5, Monday to Friday, Matthew has more or less also adopted similar work patterns. He said he tends to go hard at his writing Monday and Tuesday, spend Wednesday playing golf, and then go hard at it again Thursday and Friday before having a weekend on Saturday and Sunday. In terms of his actual process in writing one of his books, he said that this had also evolved a bit over his writing career, and nowadays he needs to have a visual map drawn up of where his story is set before he even sits down to write page one. He said he sketches and also uses Photoshop to do these maps and layouts, and that he revises them over and over again until he is happy with them, and until he has a very clear vision of what the setting looks like. The other thing is that he needs everything – story, plot, characters – planned out from start to finish and planned out 100% before he sits down to begin writing the book. The Tournament (Matthew’s last novel) was very different to his usual style. Does he plan to do something like that again? The short answer? Never say never. First off, Matthew clarified that, at the time he was writing The Tournament, he needed the creative break that it provided him. He needed some time away from all the explosions and car chases. And, more importantly, he needed to gather himself and prepare before embarking on the journey of writing his biggest, most explosive adventure yet – The Great Zoo of China. Matthew also told us how he copped a lot of flack from parents and Reilly enthusiasts because he had strayed from his usual style of story-telling. Matthew maintains that The Tournament was still an action novel, just a different kind of action novel that didn’t have any explosions or car chases. And as to the parents who asked/complained as to how he could write that novel when he knows that kids as young as 12 and 13 are reading his books, Matthew said that apart from Hover Car Racer, he has always written his novels for an adult audience. In regards to Troll Mountain, how did Matthew find writing for an ebook only format, and will it ever come out in physical book form? I thought this was a great question from the moderator. Matthew found writing specifically for an ebook format much the same as writing for a physical book. The only difference was that more marketing and promotion had to go into it. When people buy ebooks, they tend to know what they are looking to buy and don’t really browse. Whereas people who buy in books stores browse and find new things, but also discover new things by authors they already like. Matthew pointed out that he personally likes browsing better. Matthew also talked about how he thinks that books have now succumbed to what he termed the ‘Pizza Hut’ effect – you used to be able to go to a physical Pizza Hut Restaurant and sit and dine in, whereas now, pizzas are mostly a take-away, home-delivered food item. Same for books – you can download and start reading a book within the comfort of your own home, rather than having to visit a physical store. Matthew said it was highly likely that Troll Mountain would come out in a physical book format, (although he would have to check with his publisher to see if they want to publish it that way), and that he wouldn’t be surprised if it was published in in hard copy within the next 12 months. Can I buy your shoes? Matthew was wearing his shoes, so one eager fan asked if he could have them (to which Matthew said “No!”) and then he offered to buy them off him (to which Matthew said “… how much?”). It was a great, light-hearted way to kick off the audience Q&A! Was setting his latest book in China difficult due to it being a communist country? Matthew again explained that he had actually been there for research, and that he had been to Southern China, specifically Guilin, where the Zoo in his book is located. He found the experience interesting, and eye-opening, but other than that it was pretty much the same as any other research trip. Although, he did say that they will probably never let him back in to China now that the book is published! Does Matthew have any plans for a Contest or Temple sequel? Matthew has no plans to write sequels for them as he thinks they are best as stand alone novels. His rule for sequels is that they have to bigger and better than the novel that precedes them, and he doesn’t think he could do Contest or Temple any better. How about another Jack West Jr. novel? Never say never, but in terms of research, they are the most heavy of all his novels. Even The Tournament didn’t required as much labour intensive research as a single Jack West book. So he would need to be up to doing that level of research again, before he could commit himself to writing another Jack West Jr. adventure. Do you ever write a scene and then look at it again later and think “Maybe that’s a bit too much” and scale it back? This was my question, which I was very excited that I got to ask! The short answer was no, but Matthew knew what I was getting at. He said that he tends to write to the limits of his imagination as it is. Matthew then went on to explain that when Ice Station was first released, he got a lot of mail from readers saying it was just too unbelievable. His first USA publisher even told him to scale back his books, so he changed publishers! He writes for ‘big kids’ and if you get a kick out of reading it, then mission accomplished! If you like the more clear-cut, well defined, and neatly wrapped Tom Clancy type novels, then you should be reading Tom Clancy novels! But he does have a limit to his big ideas and action sequences…although he hasn’t reached that limit yet! On that note, does he think he went too far with THAT scene in Scarecrow? Again, a bit of (spoiler-free) background for those who haven’t read Scarecrow, a much-loved character meets their rather grisly death in a guillotine. Matthew told us how he has received hate mail for that scene, and that he can always tell when Scarecrow had just been released in a new country, because the hate mail starts pouring in again. For a lot of fans that he has spoken to, even though they have read all his books, that scene in Scarecrow is the scene that remains clearly in their minds (on a personal note, it is the only Matthew Reilly book I have never re-read). Matthew explained that he knew he was going to do it before he wrote the book. He almost chickened out though! When he was up to writing that scene, he got up from his computer and asked himself “Can I do this? I can still back out.” But he decided he had to go ahead with it, so he sat down, wrote it very quickly and then moved on with the book. When his friends and family were reading the manuscript he’d always get a call just after they had read that part, so he always knew where they were up to when the phone rang! My parents let me read Hell Island, but won’t let me read Area 7 even though I really want to. So, my question is, can I read Area 7? This made everyone in the theater laugh and Matthew good-naturedly asked if the young gentleman had learned any new swear words while reading Hell Island, to which the boy replied that there wasn’t anything new. One of the characters in the book is nicknamed Mother, which is short for something… ahem… more adult (add a curse word starting with ‘F’ on to the end of ‘Mother’). So Matthew asked this kid if he knew what Mother’s name was short for, to which the kids replied that he did. So, Matthew said if he could handle Hell Island, he would be just fine with Area 7, and that he would give him a free copy of it after the event. My very own signed book! After the questions, we all filed out of the theater and queued in the lobby to get our books signed! 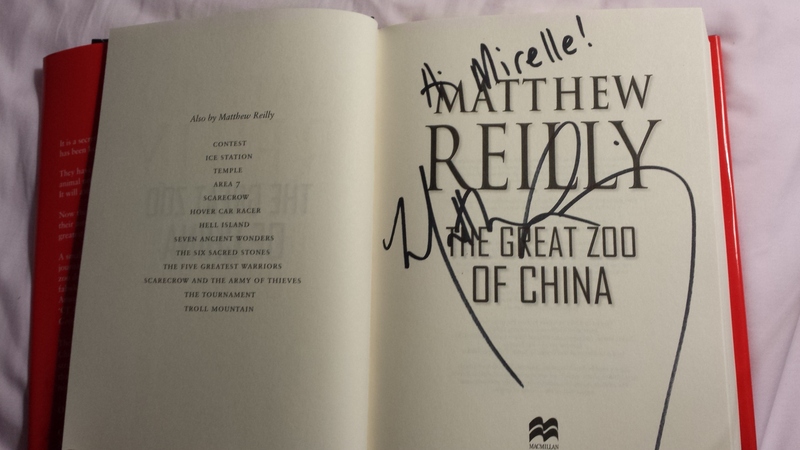 I had a quick chat with Matthew about China (I had visited at the start of the year), about what I thought of the book, and that I would be seeing him again next month, when he does an author signing at the book store I work at. He was a really lovely person, and a great public speaker and I am so glad that I got to go along to his launch event! To find out more about Matthew Reilly and his books, visit his website here.